The event is hosted by EFFRA! If you are interested in participating in the event, please follow the links below in order to register to each session. You may find more information at the figure below. 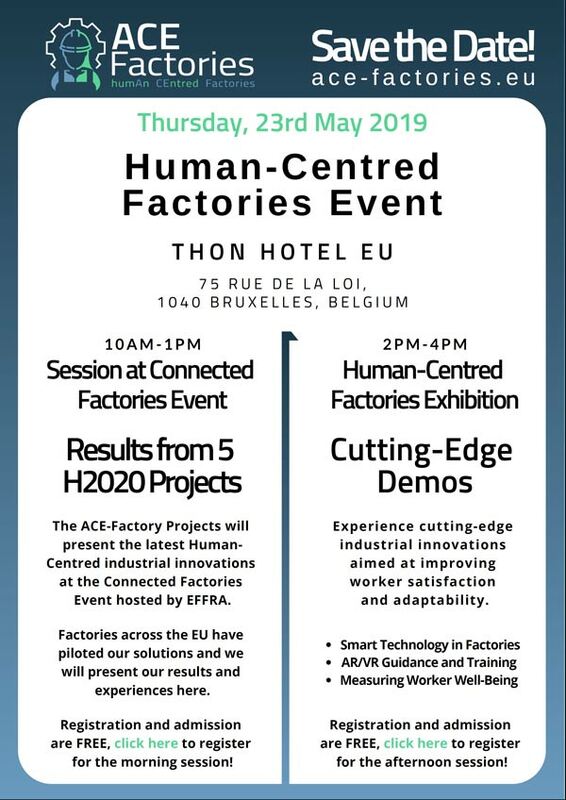 The Projects participating in ACE Factories Cluster have received funding from Horizon 2020, the European Union’s Programme for Research and Innovation.